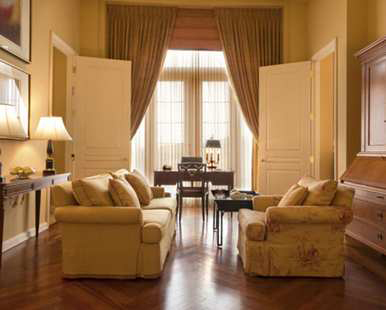 We will relax in this luxurious room with a king-size Hilton Serenity bed accompanied by lavish amenities. After an eventful day, we will unwind before the 42-inch flat-screen TV, or soak in an extra-deep tub in our marble bathroom with deluxe amenities. After a long day, we will unwind before our 42-inch flat-screen TV, or soak in the extra-deep tub in the marble bathroom with deluxe amenities. For ultimate comfort, we will indulge in our King size Hilton Serenity bed featuring luxurious, allergen-free down comforter and pillows, elegantly striped 250 thread count sheets and duvet cover, plus mattress set custom designed for added support and comfort. All while admiring beautiful views of Lake Las Vegas. We will relax in all of the 960 square feet of this expansive suite, making sure to unwind in front of the 42-inch flat-screen TV or soak in an extra-deep tub in the marble bathroom with deluxe amenities. 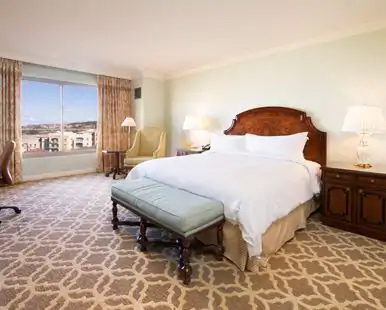 To make our stay even more luxurious, we will enjoy falling asleep in the Hilton Serenity bed featuring lavish, allergen-free down comforter and pillows, elegantly striped 250 thread count sheets and duvet cover, plus a mattress set custom designed for added support and comfort. 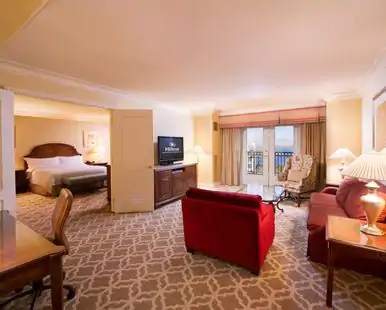 In this luxurious Presidential Suite, we will allow ourselves to completely relax and forget all our stresses on our one king-size Hilton Serenity bed while admiring views over the glittering waters of Lake Las Vegas. 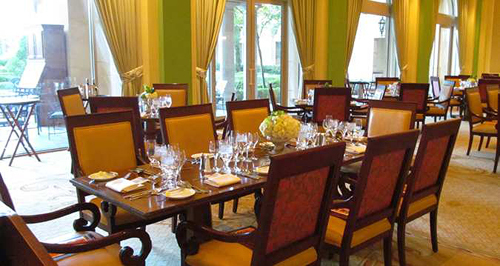 A separate dining room will provide a sophisticated spot for a gourmet meal from in-room dining. We can’t wait to soak in an extra-deep tub in the marble bathroom with deluxe amenities, then wrap up in a cozy bathrobe and unwind before the 42-inch flat-screen TV. We unwind in this distinctive open-air bar and lounge while mingling over cocktails or sitting down for a light meal. The talented culinary team will take us on an Epicurean journey around the world in just one visit. 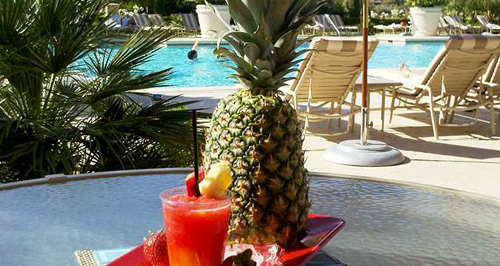 Whether we are sitting poolside or relaxing in one of the privately stocked cabanas, the staff will bring our favorite drinks right to us as we are pampered poolside. We will enjoy stunning views of the lake and mountain skyline, while savoring scrumptious bites and refreshing drinks. Bright and airy, Medici Café features enchanting views of the Florentine Garden from an outdoor terrace. 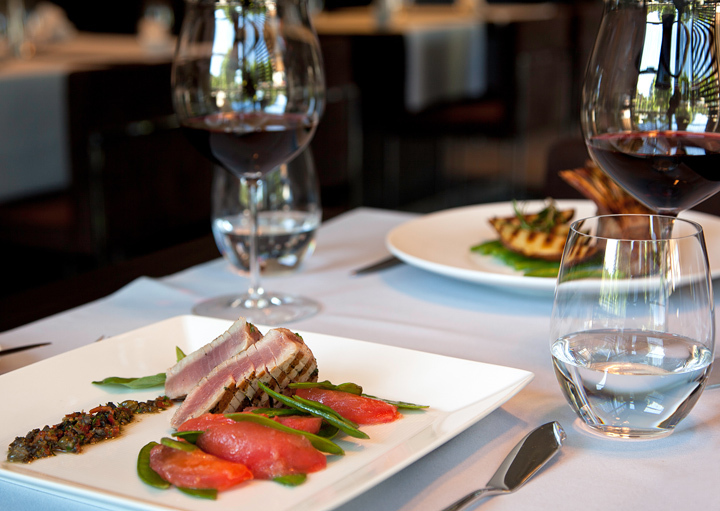 We will dine al-fresco with a wide selection of wholesome, seasonal fare prepared in an open-air kitchen. The emphasis on nourishing, nutritious food choices means we will leave feeling energized, invigorated and ready to seize the day. We will enjoy dining in the comfort of our guestroom or suite with the pleasure of taking advantage of this amazing resort. We will enjoy late night dessert and drinks or maybe even delicious breakfast in bed with just a phone call away. Thanks to your wonderful wedding gift, we will relax into the ideal honeymoon destination at the one of a kind Hilton Lake Las Vegas! We will enjoy graciously appointed suites, the beautiful outdoor resort pool, reserve a private cabana, or indulge in a relaxing treatment at The Ravella Spa. This resort credit will truly enhance our intimate escape. 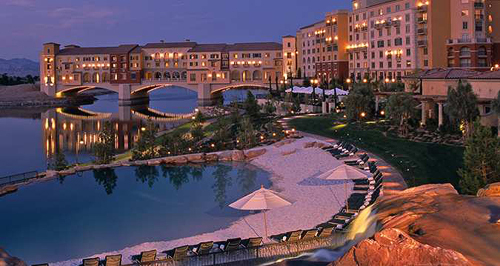 Hilton Lake Las Vegas Resort and Spa is a promising romantic honeymoon getaway! With your thoughtful gift, we will enjoy tranquil activities, take comfort in luxurious accommodations, savor unique cuisine in a lavish setting or enjoy a round of drinks. We will explore our breathtaking surroundings as we enjoy the fire pit and Florentine Garden, visit the Village at Lake Las Vegas, with marina, upscale shops and restaurants, and of course the infamous Las Vegas Strip. We cannot wait to luxuriate in an array of pampering amenities at the beautifully designed Hilton Lake Las Vegas Resort and Spa. 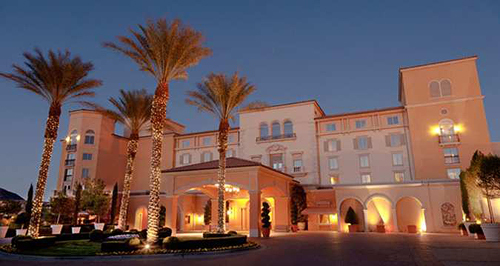 The experts at the Ravella Spa at Hilton Lake Las Vegas will help us find the perfect look! From a make-up application, a new hair style, simple haircut or a manicure and pedicure, we will enhance our honeymoon experience by being completely pampered. This active organic facial uses high performance herbal enzyme peels such as Pear Fig, Pumpkin, or Sweet Cherry to target the signs of aging with proven ingredients to deeply repair and hydrate the skin. This therapeutic massage uses a blend of wild sage and lavender oils combined with the highly potent extract of mountain arnica to ease chronic muscle tension and stimulate soft tissue repair. Direct pressure and slow strokes are used to release restrictions in the deep muscle tissue. The therapist may also apply focused relief drops, a healing concentrate of essential oils, to particularly tense areas and trigger points to break the harmful patterns caused by posture, repetitive motion, stress, or injury. This unique twist on a traditional hot stone massage provides a revitalizing contrast between the radiant heat from sun-baked basalt stones and the cooling freshness of Mediterranean rosemary. A soothing application of warmed herbal oil begins to loosen and relax the body before smooth, hot river rocks melt knotted muscles. To eliminate every trace of tension, the therapist will target those areas of the body where more attention is needed. This Tender Embrace Couples Ritual begins with an exfoliating salt scrub across the body to awaken the senses, followed by an aromatic foaming bath for two with a romantic blend of essential oils. 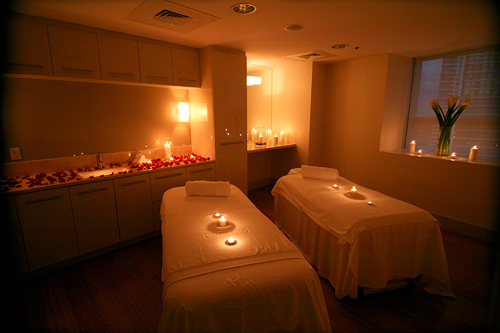 After a soothing soak, the body will surrender to an hour long massage with the spa’s special blend of oils. To better absorb the nourishing botanicals, the body will be enveloped in a warm cocoon while enjoying a neck and scalp massage. This romantic couples massage uses a sweet, spicy, earthy blend of essential oils with aphrodisiac properties designed to inspire romantic moments for partners. 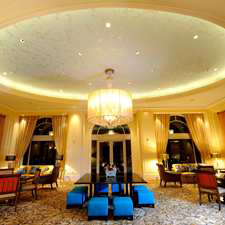 This will truly enhance our romantic stay at Hilton Lake Las Vegas Resort and Spa.